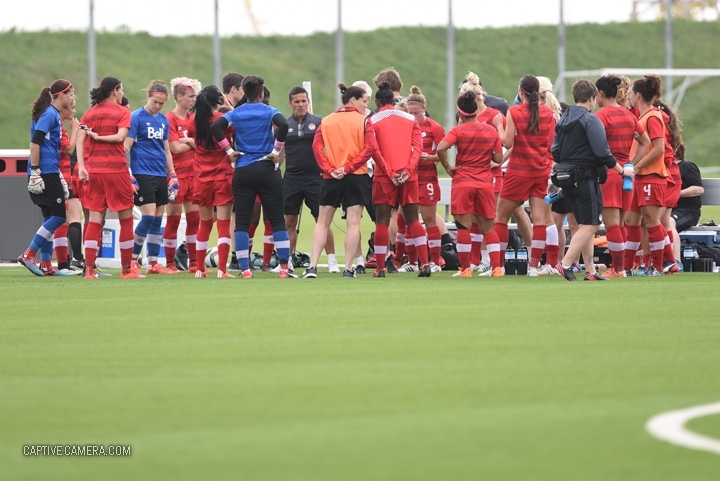 The Canadian women's national team played an exhibition game against Nigeria on Monday, May 25 in a closed match at Downsview Park in North York, Ontario. 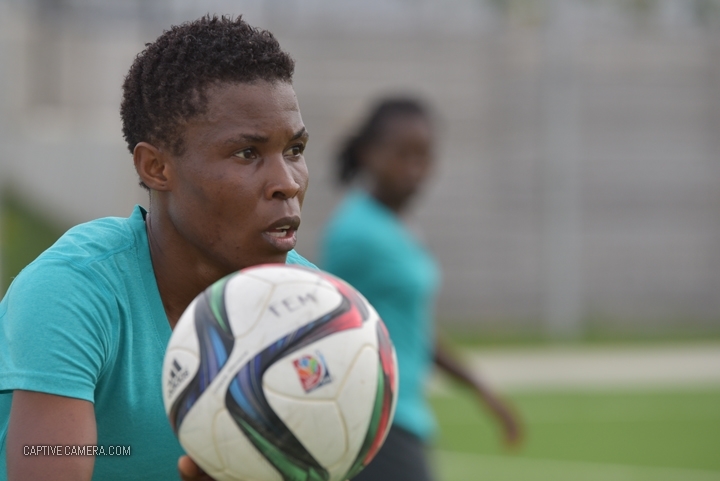 Canada and Nigeria are training for the FIFA Women's World Cup 2015, being hosted by Canada between June 6 and July 5. 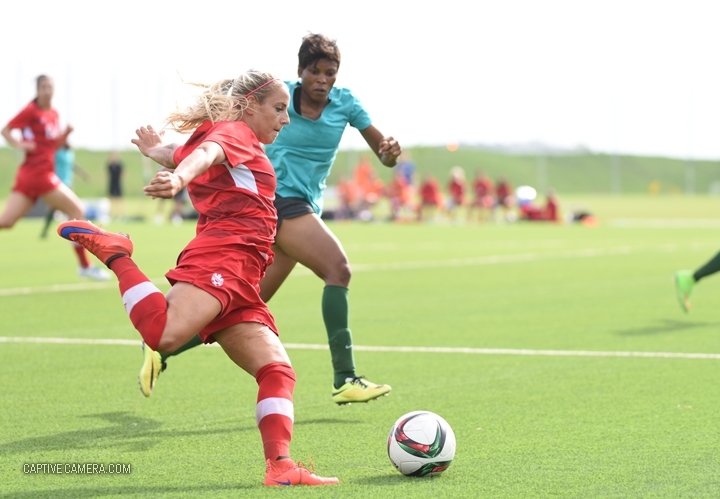 Canada is seeking to maintain their momentum after finishing runners up to England at the 2015 Cyprus Cup and most recently, a narrow 1-0 loss to France in April while Nigeria's Super Falcons are still soaring after winning the 2014 African Cup and finishing runners up at the 2014 FIFA U20 Women's World Cup held in Canada. 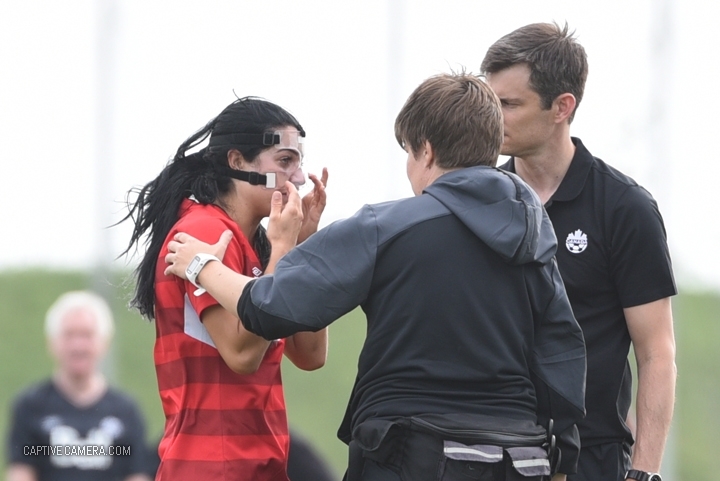 Throughout the match, both teams had to contend with forces from their opponents and mother nature as physical play and high winds hindered the teams from maintaining possession of the ball and forming cohesive attacks. The midfields were kept busy in the first half as there were very few quality scoring opportunities from both teams. 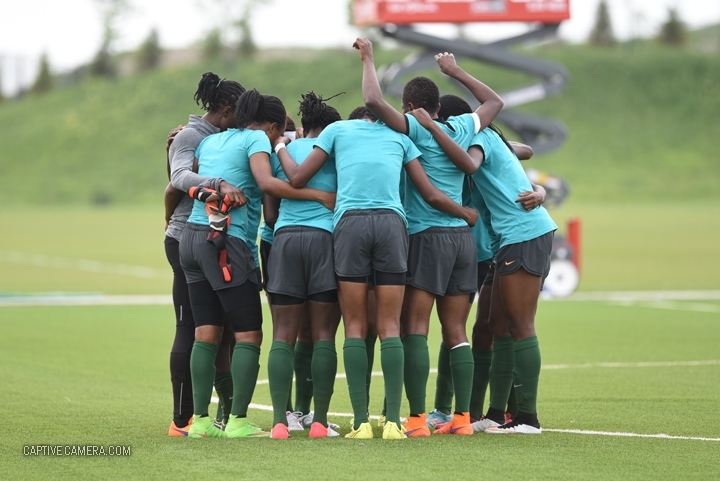 The best opportunity came to Nigeria who squandered a clear one on one opportunity when a cheeky ball was chipped over Canadian goalkeeper Karina Leblanc only to be met by the goalpost. 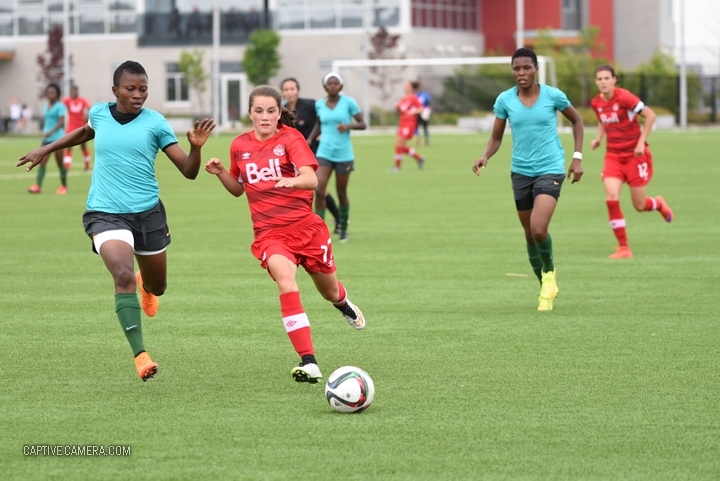 The second half saw Canada employ a more offensive tactic with increased encroachment into Nigerian territory. Sophie Schmidt came close to scoring when her shot from the 18 yard box rattled off the goalpost. 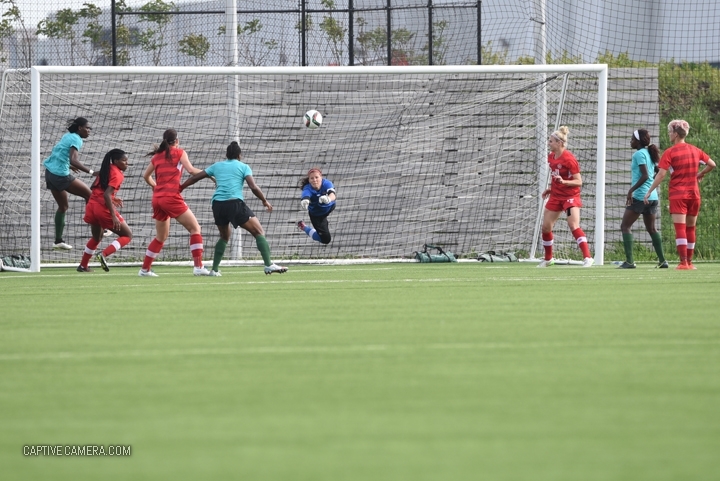 Christine Sinclair came very close to scoring near the end of the match as the Nigerian goalkeeper was caught off guard by a deflected bouncing ball but smothered the ball just in time to prevent Sinclair from capitalizing. 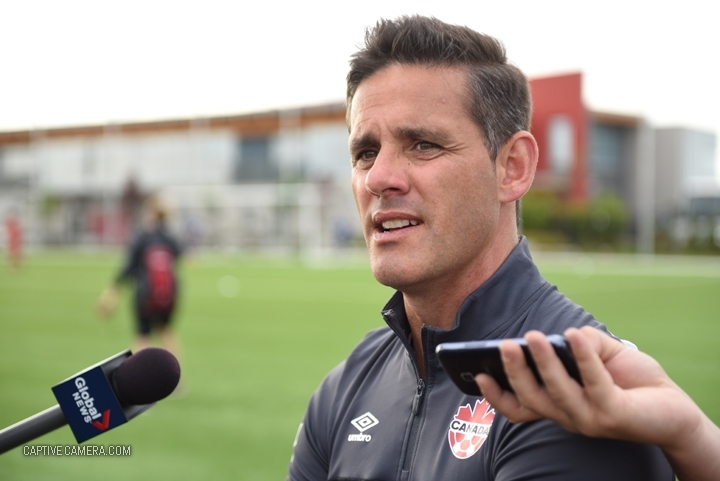 With the match ending 0-0, coach John Herdman was quite honest in his assessment that he took no positives from the encounter, except for a notable performance by Alyssha Chapman who was a late addition to the 23 roster selected to participate at the Women's World Cup. 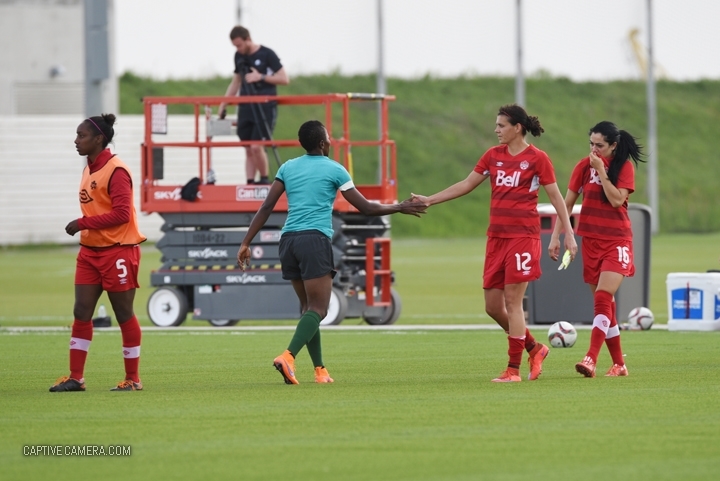 Canada will next play England on Friday, May 29 in Hamilton, Ontario for an exhibition match. Tickets are nearly sold out but are still available through Ticketmaster.